This disc seems to be a bit ahead of its time. We've got the requisite psychedelic sounds, but also some strange touches of prog rock and disco before the full emergence of those forms. If that's not enough, we get a Peter Pan concept album. Strangely, the band doesn't take the 'happydaystoytown' approach so much, but works out some stranger noises to guide the story along. The Who's rock operas aren't a bad reference point, although the Merchants of Dream do carve out their own niche. 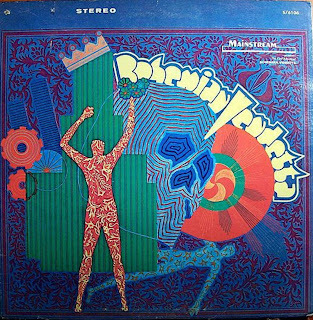 Even if we throw out the whole concept, there is some prime psychedelic pop hiding out in the grooves of this disc. After an enjoyable overture (take notes as side B will also start with an overture), we hear the disco-pulsing and orchestrated "Strange Night Voyage of Peter Pan." "Wendy" follows well as a back-pulsing, mid-tempo freak-out. After a few story advancing tracks is the full-speed forward, psych rocker "Lovelife's Purple Circus." Hiding out on the second side is "Alicey," which comes across as your personal sonic morphine drip. We also will find "(We Are) Dream Vendors," which closes the album as the best track with a catchy chorus and a groovy beat. I've got to admit that I rarely mentally apply myself to album concepts, and for better or for worse Strange Night Voyage is no exception. 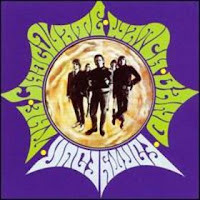 Fortunately, we get enough little nuggets of great psychedelic pop that the story doesn't really matter a whole lot. I don't know, show me the Broadway revival of this and maybe I'll get that aspect more; except that I'm not really a Broadway fan in the first place. Yeah, Gentle Soul. I guess that's a nice, peaceful nomenclature for the late 60's, but matched with this music, I can't help but imagining these folks getting a beat down in the back alley. Visions of blood and bruises aside, this is a very adept mix of whitewashed folk/pop and some production trappings from sunshine pop. If you're hip to harpsichords, you'll find plenty to dig here. The vocal harmonies are supremely sweet and dead on, but I do feel an occasional need to strike the cheese alarm. For the collectors out there, there are some big names affiliated with this album. 60's producing legend Terry Melcher is behind the boards while Ry Cooder and Van Dyke Parks make some instrumental appearences (never mind any puns; take the sentence at face value). There is not a ton of stylistic variations here. Pretty much everything is centered around happily strummed acoustic guitars, with sugary-sweet boy/girl harmonies on top and very light chamber orchestration ornamenting the music. With the opening "Overture," we hear a little more complexity since there are no vocals, and in many ways it's my favorite track here. The rest of the album is like eating white bread for lunch, although if pressed to pick favorites I'd tell you to skip forward to "Marcus," "Through A Dream," and "Renaissance." The happy folk of Gentle Soul come across as a little plain, but there are no major missteps here, and many acts of this sort tend to drift out into the overly syrupy. This is some very adept soft folk pop, and if that's your bag then you need to hear this. For the rest of us the clean production and assured performances should hold your attention at least for a couple of spins. For all of your patient psychedelic archaeologists, here's your big payoff. 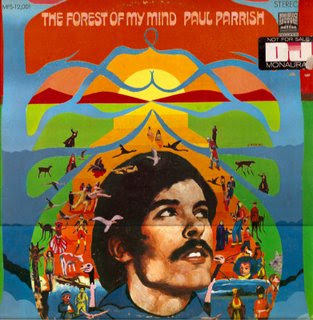 I've got to admit that I know less than nothing about troubadour Paul Parrish, except that this release is amazing. It's a very groovy slice of Donovan-inflected psychedelic pop graced by the voice of a fellow that comes across like a hipper Micky Dolenz (although I have to admit that I do dig the Monkees). Parrish rates as a first rate song writer going by the merits of this album. The first three tracks all sound like hit singles that never where and if the title track hasn't shown up on a Nuggets-style compilation, it certainly deserves to. Bringing up the Donovan comparison again, I might even go as far to say that as an album, I prefer this over Mr. Leitch's LPs. At least it's in cahoots with Sunshine Superman. Even the covers come across pretty well. Usually, I'm a little wary when I see Beatles covers on an obscure bit of psychedelia, but Perrish pretty much hits the nail on the head on his cover of "You've Got To Hide (Your Love Away)." 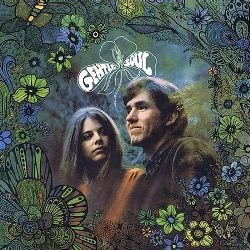 The album closes with an interesting folk-psych take on Motown with "I Can't Help Myself," although Parrish's voice lacks the grit to really make this one work completely. As we move through the album, Parrish's tracks get a little more pastoral. "The White Birds (Return to Warm Seas" once again gives Donovan a run for his money,while "Flowers In The Park" tread lightly on Simon and Garfunkel territory (if you're familiar with them, it sounds even more like Heron). 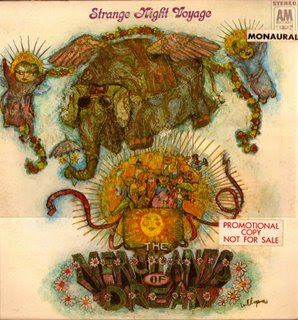 Although coming directly from the deepest fog of obscurity, The Forest Of My Mind rates as a totally first rate album. It's pristine psychedelic folk pop that deserves some latter-day notoriety. Although Cottonwoodhill seems to get all the freakish glory in the universe of Brainticket, for my money this is the better album. Although I suppose it's lacking a bit in the full on, balls-to-the-wall freakiness of that earlier album, Celestial Ocean is a more assured and graceful psychedelic voyage through parts unknown. One big plus here is the much more varied sound present here. Instead of spending half the album on a bubbling groove, the band explores a much wider series of sonic vistas. There's a mystical vibe here that manages to evoke Egyptian pyramids, Mayan temples, and Indian countrysides. The album functions on sort of a bell curve of energy. The tracks, while very different, form sort of a suite. The first three tracks, "Egyptian Kings," "Jardins," and "Rainbow" start things off on a lilting note. Joel Vandroogenbroeck and Dawn Muir share a strange, half spoken duet on "Egyptian Kings" while "rainbow" definitely brings up the images of that aforementioned Indian countryside. Then the gears kick up a notch on the next three percussive tracks that throw in some awesome modular synth squeals. It's almost as wild as the first album, but it's much tighter and has more of a sense of traveling somewhere. There are also plenty of shades of early Popol Vuh and Tangerine Dream added in for fun. "Cosmic Wind" and "Visions" give us a beautiful coda, focusing more on acoustic sounds. This is a more relaxed album than Brainticket is generally known for. I think that it's the sound of a band very much in a prime groove and is a must hear. Bueno aca va un gran compilado lanzado por Rhino en la decada del 80 para sacar a relucir de vuelta la epoca gloriosa de los Chocolate. Un compilado poco comercial por cierto, con canciones que no eran de lo mas conocidas y joyas, bellezas y documentos poco conocidos hasta la epoca, como los son los temas lanzados bajo el nombre de "The Hogs". Este disco se ve integrado por el vasto repertorio de covers que tocaba la banda, tambien encontraremos lados b, outtakes y tomas no editadas en los futuros albums de la banda. Una vez mas vamos a recordar esta banda y sobre todo a deleitarnos de vuelta escuchandolos. No tiene desperdicio este disco.